UPPER EAST SIDE, Manhattan (WABC) -- There is a dramatic and disturbing jump in hate crimes against Muslims, that's according to a startling new report released. "As long as there's even a single individual being targeted for their faith in this city in this state it's one too many," said Albert Fox Cahn, CAIR. And in fact, the legal director of the Council on American Islamic Relations (CAIR) New York says many more Muslim- Americans are being targeted. 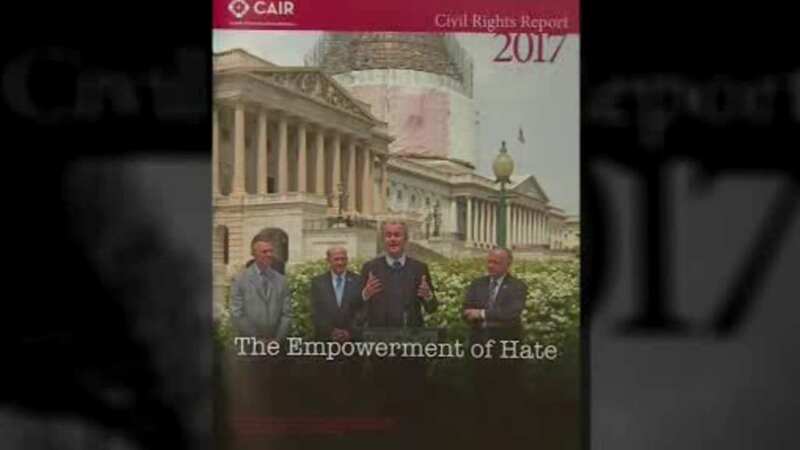 In a just released report, nationwide CAIR found a 57-percent increase in the number of bias incidents in 2016. That's up from just over 1,400 in 2015. Incidents increased only 5-percent from 2014 to 2015. "Last year, half the number of hate crimes came in just the last seven and a half weeks of the year. The seven and a half weeks following Donald Trump's election as president," Fox Cahn said. "Donald J. Trump is calling for a total and complete shutdown of Muslims entering the United States," the president had said. CAIR believes President Trump's anti-immigrant rhetoric coupled with his ill-fated travel ban fueled some of the backlash. The report covers a wide variety of bias incidents including threats against mosques and street harassment and assaults. "I know that New Yorkers are going to be there to help me and be supportive," said Amly Elsokary, NYPD. One of the most widely publicized recent cases in New York City, an off-duty NYPD officer wearing a hijab was confronted on a street in Brooklyn by a man yelling ethnic slurs and making violent threats. The suspect was arrested and charged, as city leaders publicly denounced the incident. CAIR believes more Americans will have to step up and do the same. "Even we are not being attacked ourselves, the values that we believe in are being eroded from within," Fox Cahn said.